Kiyo Sato, the eldest child of a Japanese-American immigrant family, grew up before World War II with her eight brothers and sisters in Sacramento, California. There her parents established a thriving family farm on a few acres, producing some of the finest strawberries and table grapes in the region. 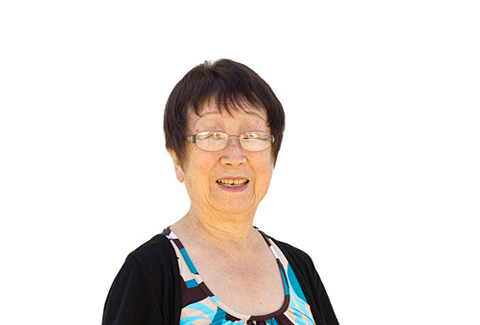 She was attending Sacramento Junior College when World War II broke out and brought with it the evacuation of all Japanese-Americans in 1942. In her book, Kiyo recalls the trauma of being forced to leave the family farm and ship out to a prison camp with little more than the clothes on their backs. At the end of the war, after their release from the prison camp and then working a season as hired laborers in Colorado, Kiyo and her family returned to their farm in Sacramento to rebuild their home and their lives. Kiyo’s parents were able to keep their farm, but many Japanese-American families were not so fortunate and had to start over with nothing. Kiyo then joined the United States Air Force, completing her college education in nursing and achieving the rank of captain. She eventually returned home from the service, married, and started her own family in Sacramento. Her four children grew up frequently visiting and working on their grandparents’ farm, a vital part of every Sato family member’s experience.